Update – Did you know that playing football without shoulder pads could result to profound physical and emotional risks to your son? Well, try not since you will not like it. Besides the painful injuries and bruises your son may get, he may also end up getting scared completely from playing the football throughout his life. 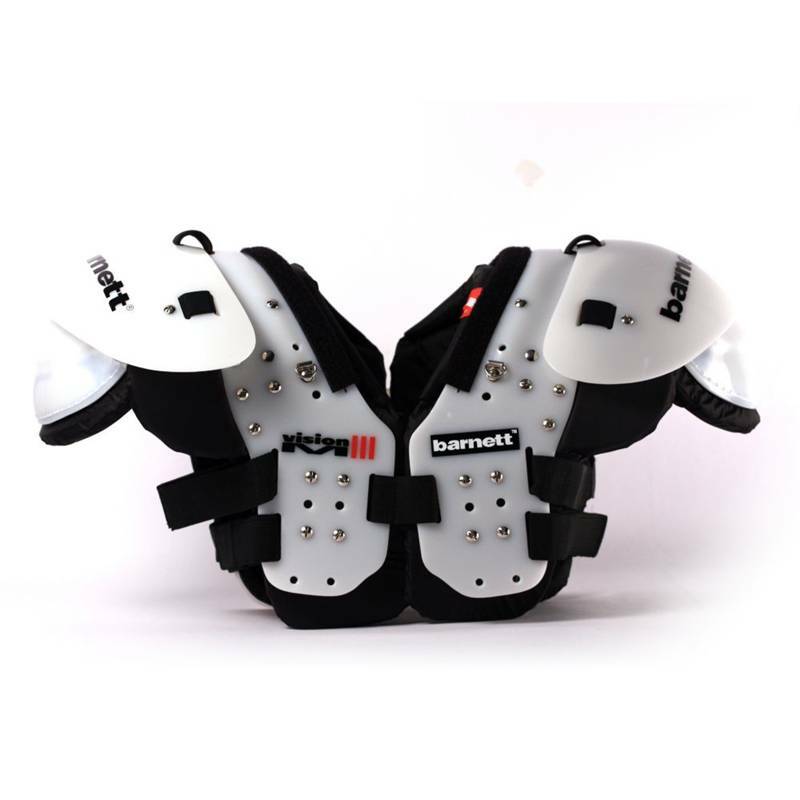 Shoulder pads is a must have football gear, which will offer your son full protection no matter the strength of the collisions, hits, and tackles. The most important point to consider is going for the best shoulder pads for youth football that will serve your son better. 1 Tips To Consider Before Deciding on the Best Shoulder pads to purchase. 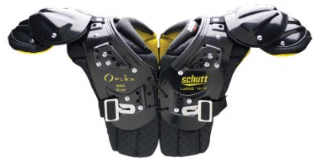 2 Our Pick of the Best Shoulder Pads for Youth Football. Tips To Consider Before Deciding on the Best Shoulder pads to purchase. For maximum protection, you may need for your kid, always go for the shoulder pads that perfectly fits him. Below are tips that have worked for me and am sure that they will be of great help to you too. There are shoulder pads for every season winter, summer as well as for the spring. Your son should never use heavy shoulder pads when it is already summer. Neither should he use very thin and light pads when it is in winter. Well, be cautious since the shoulder pads are different depending on the weather of the period the game is being played. During summer, buy your son the shoulder pads that effectively and efficiently allow for retention of heat and breathability. The pads should be able to allow adequate circulation of air to ensure the skin of your son is kept cool. Moreover, they should be able to regulate the core body temperature giving him the right heat that he can manage and play without stress. The shoulder pads with inserted material of aluminized polyester are efficient in regulating the heat that is generated by the shoulder gear paddings. There are various designs of the football shoulder pads catering for all the specifications in relation to the different positioning of the players. All you need to know is that functionality of the shoulder pad you buy for your son matters a lot. If he plays the quarterback, then buy him the lightweight, low profile pads that will not restrict movement and speed. For the defensive backs and the receivers, their shoulder pads should be slightly reinforced since they require more protection. In case your son is a lineman, then ensure that he does not get injured by the hard hits and tackles by purchasing him a durable and much heavier shoulder pad. The kickers and the punters require high speed hence they can use the same shoulder pads with the quarterbacks. Take your son with you if possible when going to buy him the shoulder pads. However, if he is not available then you can use his tape and chart to take his measurements for the chest and the shoulders. Fitness is a critical consideration as it allows for comfort hence maximum concentration in playing. Moreover, the gear should be able to cover the chest and the shoulders well for full protection. You should have in mind that the shoulder pads are available in both extra large and extra small sizes as well as they come in different weights. Our Pick of the Best Shoulder Pads for Youth Football. These shoulder pads come in various sizes and shapes hence ideal for youths at different ages. They are also designed with all-purpose arch making them ideal for various players in different playing positions. The pads are able to regulate moisture adequately by allowing maximum circulation of air. This is made possible by the large ventilation holes in the paddings and the antimicrobial system treatment. In fact, the Schutt Sports Youth Flex 2.0 All-purpose Shoulder Pads serves better even for the practices as they do for games. The Riddell X-Force II JR/Varsity Football area flat designed all-purpose Shoulder Pads. They are low profile shoulder pads and light weighted to allow for maximum speed movement. For perfect fitness, the pads have Z-Fit belts that are used to enhance intact fitting by holding the pads in place. The paddings offer a high level of protection to your son as they are made of durable rugged and materials that absorb the shock effectively. The Rawlings Titan Junior Shoulder Pad are white in color. They can be well used by players in different positions on the pitch. The pads are hooked up with single strap making a single sternum. Amazingly, the paddings come in a clavicle build up design for a customized fitting. In addition, inside the interior of the paddings is made in a cantilever construction providing excellent protection from hitting and collisions. The front and rear of your son is well protected since the Rawlings Titan Junior Shoulder pads have an arch extending to the front and backwards. These are contour fit, low profile youth pads that are well advanced in technology. They are uniquely made to offer more protection on epaulets from the front. Besides, the Wilson Youth TDY Rush Shoulder Pads can comfortably provide tackling techniques as well accommodates fully the heads up. Choosing the best shoulder pads for youth football as well as rib protector is the greatest gift that will encourage your son to perform well. With that, you can be sure that he will be safe in all positions in the football pitch until the final whistle.